The small intestine works to absorb most of the nutrients from what we consume. In fact, it is where 90 percent of digestion and absorption occurs. The quality of the digestion in the small intestine determines the quality of nutrients in our blood. So it's in our best interests to be sure it is functioning optimally. 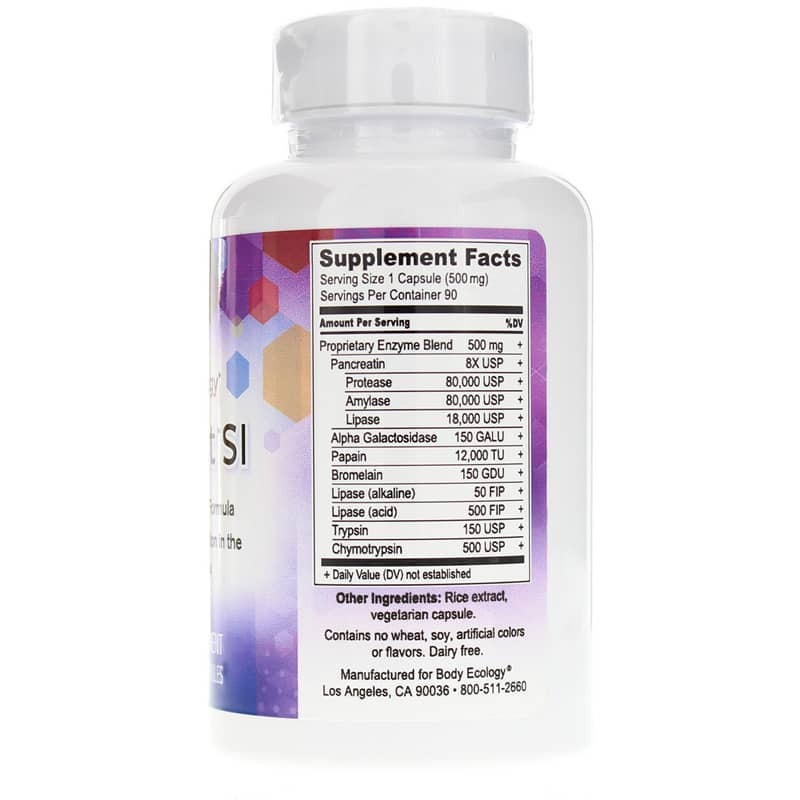 Body Ecology offers a digestive enzyme supplement called Assist SI that is designed to protect and enhance the function of your small intestine. 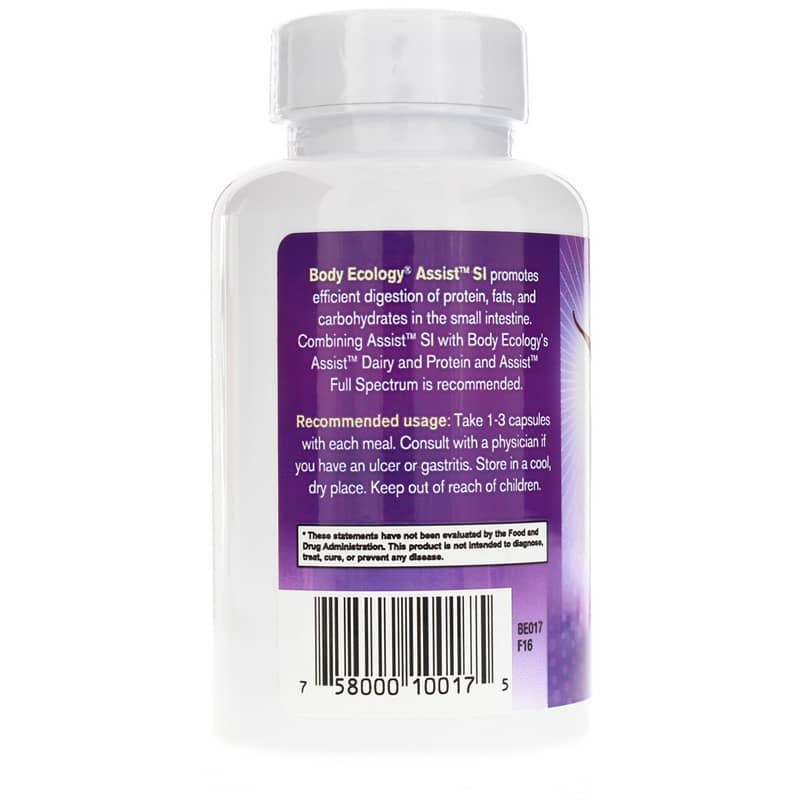 This supplement may be for you if you have occasional abdominal bloating or discomfort after a meal, undigested food passed into your stool or intestinal candida overgrowth. It is free of dairy, soy and wheat. Suggested use is to take one to three capsules with each meal. 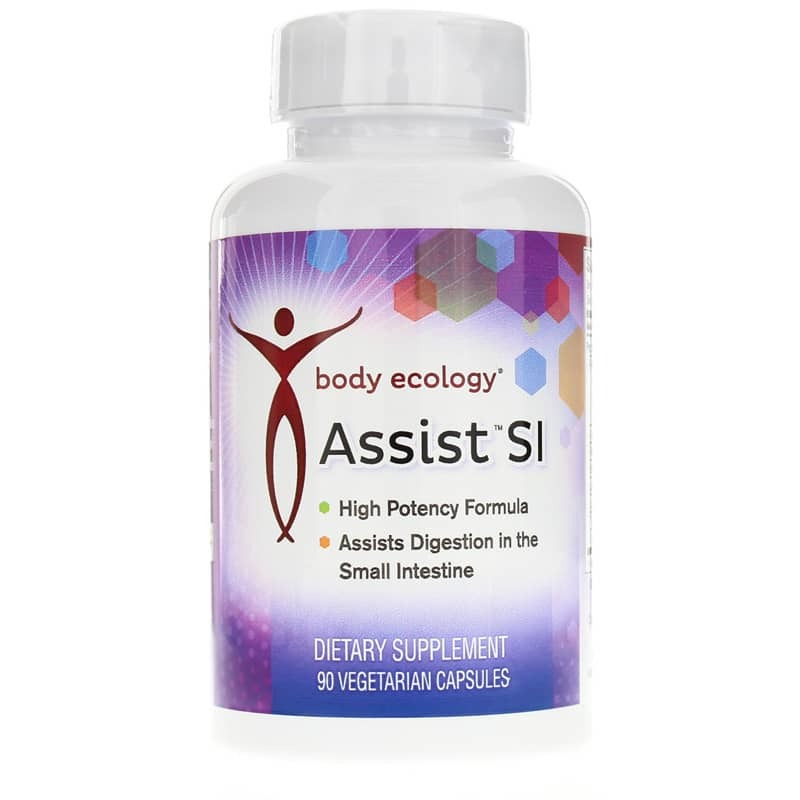 If you're looking for a digestive enzyme supplement that is designed to protect and enhance the function of your small intestine, check into Body Ecology's Assist SI. Order online today! Other Ingredients: rice extract, vegetarian capsule. Contains NO: wheat, soy, diary, artificial colors or flavors. Adults: Take 1 to 3 capsules with each meal. Also helps with digestion of proteins in dairy foods like milk kefir. These enzymes have been working great. I would recommend to anyone who is willing to give them a try. I gave it a try and it worked almost immediately! Now I take it when I need it, not on a daily basis. I will always have a bottle on hand. I depend on these enzymes... they somehow keep my milk ducts clear of clogs & blockages which can cause mastitis. I stumbled upon them by accident after praying to the Lord for a solution so I could cook continue to breast feed. He answered my prayer. The Lord is Good! This is the only thing that works. And I used to get clogged ducts every day. Not any more. 3 of these puppies on an empty stomach in the am has kept me clear for months!